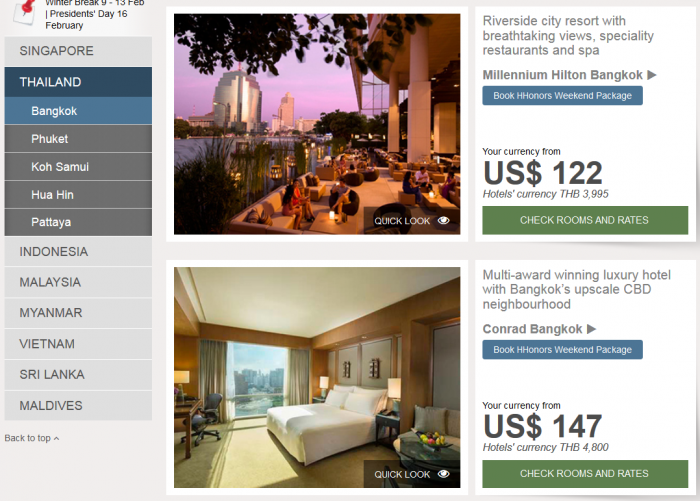 Hilton has launched a new sale to promote weekend stays at its properties in South East Asia. The offer is valid for stays throughout the 2015, but the sale must be booked between February 2 – April 30, 2015. 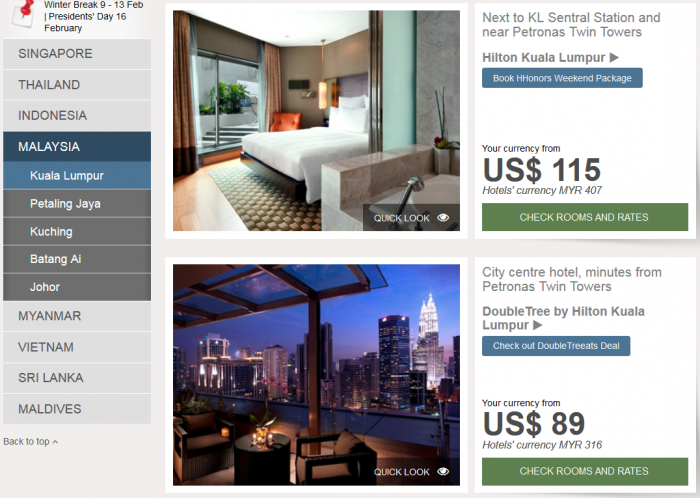 Some of these weekend rates look quite attractive. 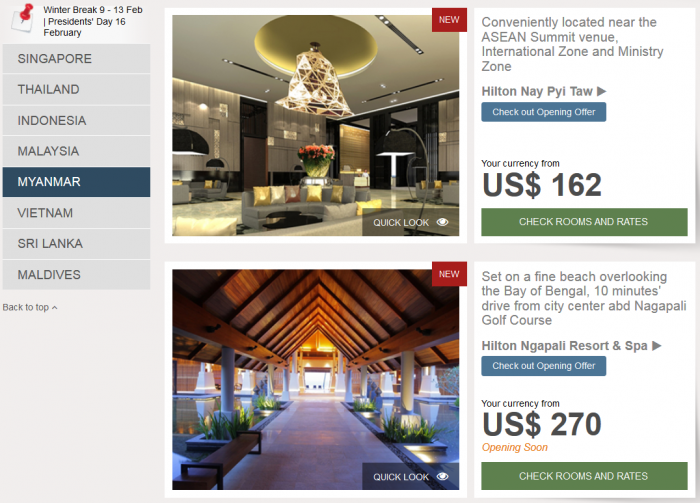 The two new properties in Myanmar are now open, although neither are located in the commercial capital of Yangon. The Conrad Bali is very good value at a rate less than $200 per night especially for Gold and Diamond members. Limited availability at the advertised rate, for travel through 31 December 2015. Rates will vary based on selected hotels and specific travel dates. Lower rates may be available. Each hotel has a policy addressing cancellations and/or blackout dates that may apply. Unless otherwise stated, quoted rates are per room per night, based on single/double occupancy and do not include taxes, gratuities, incidental charges or resort fees (where applicable). Prices are updated daily and reflect the lowest per night rate available over a 60 day arrival period from today’s date. Cancellation policies may vary by rate – please refer to the terms and conditions of your reservation to confirm. The Best Available Rate is a specific rate type that varies depending on time of purchase, is unrestricted, non-qualified and excludes discount or negotiated rates not available to the general public, including, but not limited to: membership, corporate, government, promotional, group, packages, unpublished or rates only available on auction websites. The Bed & Breakfast Rate is similarly a specific type of rate that includes breakfast for the registered guests.